How much is that road trip? This is me somewhere in the great outdoors. Okay. 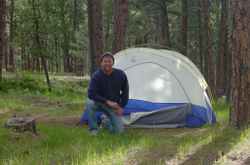 It's me in the Black Hills of South Dakota. Why this gratuitous beauty shot? Because to get to the Black Hills from almost anywhere, you have to drive. And to drive, you have to buy gas. And to buy gas, you have to work a lot more hours than you used to. So... today's tip is about the fabulous AAA Fuel Cost Calculator. It's a nifty tool. You enter your trip details and your car make and model. The calculator then provides a close approximation of your would-be fuel costs. Check it out to see how affordable (or not) car travel can still be, compared to increasingly expensive air travel. There is nothing like exploring America by car. So hit the road, Jack. So you think you're smart eh? Now is your chance to prove it. Knowing what you knw about me (where I live and travel are important factors), try to match my current mileage/point balances with the program in which I've earned them. Here are the programs: Delta Skymiles, United MileagePlus, Continental OnePass, American Aadvantage and Starwood Preferred Guest. Prize to be announced with winner. The violence raging in the Middle East is upsetting, depressing and confusing. The issues are complex, and we Americans are in deep on both sides of the conflict. As a Jew, I am hardwired to support Israel. Yet I try to be well enough informed to understand the issues from all sides. This week’s New York Magazine contains an amazingly concise and insightful article by Kurt Anderson subtitled “What we’re loath to talk about when we talk about Israel and Lebanon.” If you are interested in aiding to your understanding of the Arab-Israeli conflict, read it. 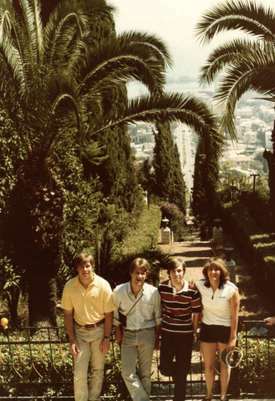 This picture was taken at the Bahai shrine in Haifa, Israel in 1979, the year I graduated high school. That's me, second from left, surrounded by brothers and sister. This was my first and only trip to the Middle East. I have always dreamed of exploring the riches of Middle Eastern antiquity beyond Israel. These days, that dream seems far out of reach. But I’m optimistic that I’ll get there eventually. You’ve gotta have hope. Peace, people. We've only got one world to share. PS: Thanks to Andy Towle of the super-popular and always on-top-of-it Towleroad, for picking up yesterday's post on Hanns Ebensten. Upright & Stowed experienced its highest traffic day ever! I learned today that Hanns Ebensten passed away. You probably have no idea who he is. I’ll tell you. 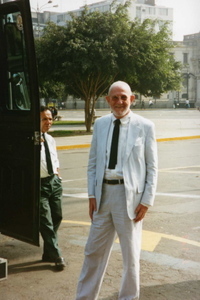 Hanns Ebensten was the “grandfather” of gay travel. Born in Germany in 1923, Hanns escaped the Holocaust and served in the British Army during WWII. He moved to the U.S. and settled in Key West in the 1970s. In 1972, Hanns led his first group of gay men on an organized river rafting trip down the Grand Canyon ... and over the next 30 years charted the globe with a gaggle of gays in tow. Hanns was a true revolutionary … and he was also a scholar, penning eight books on his adventures. He carried himself with an old world regal air, and he was most comfortable dressed in a white or seersucker suit. The gay travel groundwork which Hanns laid was one part of the groundwork of the gay rights movement. He was fearless in his willingness to go where no group of gay people had gone before, and to do it standing proud and (very) tall. 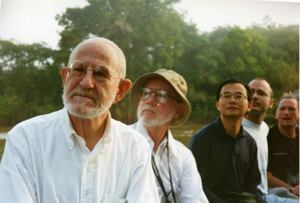 I was fortunate to dine with Hanns at his home in Key West in the mid-90s, and I traveled with him up the Peruvian Amazon in 1996. The top shot is of Hanns on the Amazon, and the one on the right is Hanns and our tour bus in Lima. Thanks for your vision, Hanns. You're a hero. Since I'm stuck in New York these days with no travel planned until Provincetown next month, here are two tips for other stranded New Yorkers, plus anyone planning to visit NYC in the next year. Tip 1: JetBlue has an airfare special going on, and it looks like the real deal. Flights to Boston from JFK are $50, and as of last night, available in August (my route to PTown, for sure). Check it out. 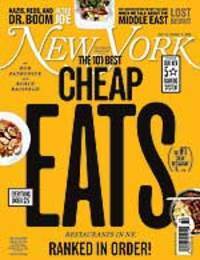 Tip 2: This week's New York magazine cover article is on the 100 best affordable eats in NYC. Compilations like this are often just gimmicky. But this one's different. I marked so many places on the list as "must go" ... and I can't wait to check them out. If you don't subscribe to New York, get to a newsstand, or simply print out the list. I've lived in Chelsea for most of the past 16 years. In 1990 I moved across the street from the storied Hotel Chelsea, and I lived there for 10 years. The Hotel Chelsea positions itself as "A Rest Stop for Rare Individuals." You've gotta love that. It has been home to many artists, musicians, superstars and deadbeats. And it's one of my favorite buildings in all of New York. Among the many strange and rare things about it – and one that has always made me smile and scratch my head – is the presence on its retail street front of a store called Capitol Fishing. 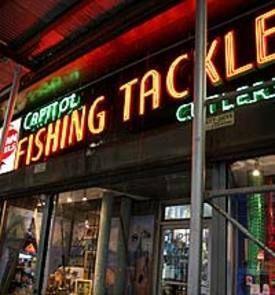 Now how the hell can a fishing tackle company survive (for 42 years, no less) in the center of Manhattan? Last Friday, I pointed out the store to a freidn visiting from Germany and commented on how strange it was. So imagine my surprise when I opened today's NYTimes and found an article on this very store. Serendipity! It was about the store's impending move out of the Hotel Chelsea and into the lower rent garment district. I'll be sad to see it leave my neighborhood, but I am relieved that you'll still be able to buy worms in Manhattan. Note Bene: The only time I ever set foot in the place was the day before Halloween in 1998. I was looking for fish netting to make a spider web costume. I would post the picture, but you'd be terrified at how scary the costume turned out. Bad scary, that is. I love New York City in the summer. But it has been hot and muggy here for weeks, and I'm feeling the call of Big Nature. I need a break right now ... and, sadly, there's no escape on my immediate horizon. I'm thinking green and woodsy. Maybe a waterfall in the middle of a forest. Perhaps a huge blue sky that turns all starry at night. Or crashing waves on a rocky coast. Any of those will do. 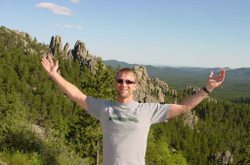 In honor of my fantasizing, here's a shot of me a few years ago camping in Wyoming, not far from Devil's Tower National Monument. Mother Nature. I need you. Something is missing from the beefcake photo of me on the left. My hair, for one thing ... which is now much longer. And art on the wall of my bathroom. Oh, and a six-pack of course. But those are not the big thing. The real missing part of the picture is my tattoo, which I got about an hour after snapping this shot, one year ago tomorrow. Happy anniversary, tattoo. 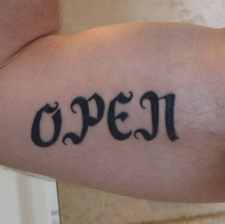 I chose the word "Open" because I wanted a reminder that the only way to keep life interesting and meaningful is to remain open to experiences, emotions and opportunities. As we get older (arrrghh, middle age! 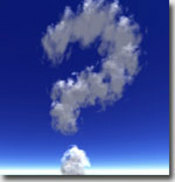 ), it is easy to fall into comfortable patterns and to accept notions of who we are and what we can and can't do. It takes active work and commitment to remain open. As for travel, it is perhaps the ultimate way to ensure you're keeping your senses, your heart and your head wide open. That's why I love it. And thus, this blog. It has been beastly hot and humid in New York these past few days. Which means riding the subway is a tad less pleasant than usual. Especially the waiting-for-your-train part. Which got me to thinking about the sole improvement I'd make to New York's subway system, if I had the power. I would make them install signs that tell you how many minutes until the next train arrives at your station. That's it. 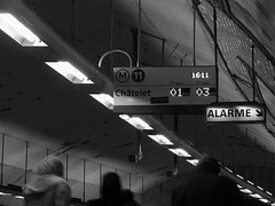 I mean, they have these signs in the Paris Metro (see pic). They have them in the San Francisco Bart. Heck, I think they even have them in the St. Louis Metrolink, which is ridden by maybe 5 people a day. So, hey New York, get us some of those signs. I, for one, will shed several hours of stress a year, which will make a lot of people happy. I always thought I whine a lot because I'm Jewish. But in recent months I've realized that I actually whine and sigh so much because I'm of Eastern European descent. How did I come to this revelation? By listening to my very Romanian, very NOT Jewish cleaning lady. "Claudia" is her name, and she announces herself every-other Monday morning with a huge sigh and a laundry list of woes (invariably the weather and the subway). She is very sweet, though not a terribly talented cleaning person, and I often find myself sighing at the dust that remains after she's gone. I like her personally ... and would so even more if I didn't work mostly from home. So you see. I come by it honestly. 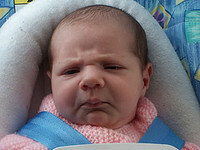 My great, great, greats were surely world-class whiners like me. And of course I now consider Claudia my soul sister. Maybe I'll give her a raise. Nah ... she'd only complain it wasn't enough.